This is nothing close to being elegant. 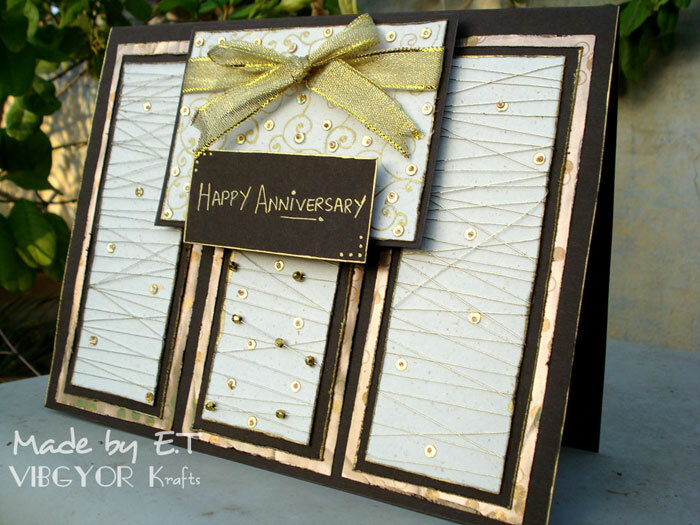 But "elegant" was in my mind when I started to plan this card in my head. 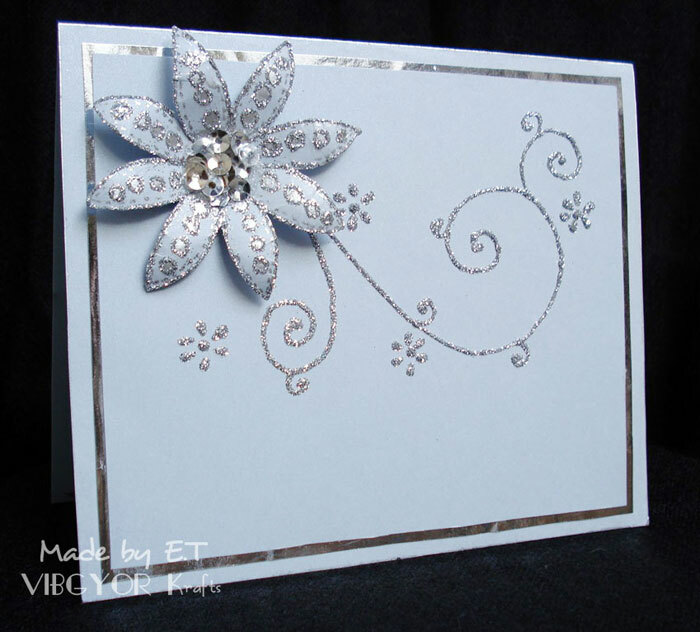 Actually, I had this gorgeous shimmery card stock which I really wanted to use with silver, and I did too but the card did not come out as expected. People here are liking it though. Anyway, it is an incomplete card, I have to gift it to someone so I left the lower pat of the card empty for her to put any sentiment that she wants. At first I didn't add the silver layer, and it looked quite empty without it. After adding the silver layer I was much more pleased. There is always this little thing that a card needs and when you add it, it looks complete. This was one of those things. 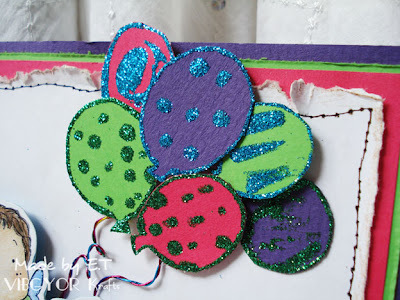 Outlined the polka dots with embossing paste and then showered it with silver glitter. I am short on bling atm so I added silver sequins in the middle. 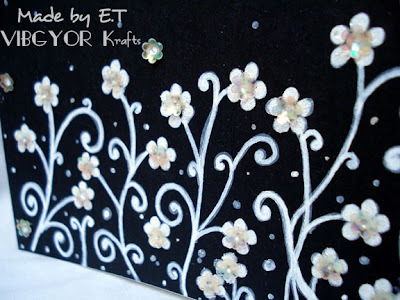 The doodling has been embossed using silver embossing paste and then sprinkled with glitter. I have outlined all the layers with a gold marker. I doodled some swirls with a gold metallic pen on the top most off white layer (the smallest rectangle with a ribbon wrapped around). I made those little spring thingy and glued them under this layer to pop it up. 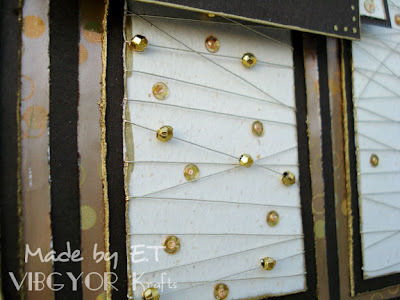 After sticking the gold sequins I used dots of gold embossing paste to fill the gaps. 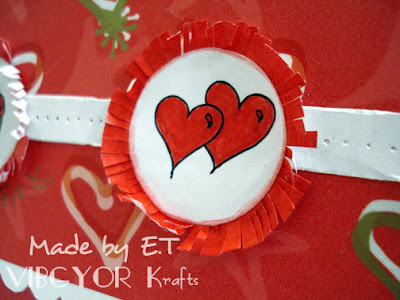 I popped up the the brown layer with the sentiment using the same spring thingies. I wrapped around some gold string on the three off white layers. The middle one has some gold beads as well. I didn't add them in all three because it was taking a long time and I had to complete the card as quickly as I could. So instead of beads I added sequins to jazz it up some more. Okay so I have officially used FIVE layers and one base layer making it SIX LAYERS! The gold layer is a wrapping paper and it is just GORGEOUS! 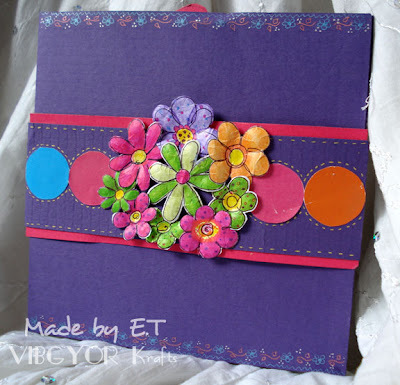 I made the envelope using this paper! Weather is changing here, it was quite cool in the morning (very early morning) but then in the afternoon it was a typical DRY October. Yes chap sticks, Vaseline, lotions and especially cocoa butter cream are all on my dressing table now. That kind of month has started and I don’t like THIS kind of month because my skin is as dry as Sahara LOL. Is that even a comparison? Can I say that? Ha-ha. You know what I mean right? I have cut the circles out from a wrapping paper and as usual the flowers are hand drawn. 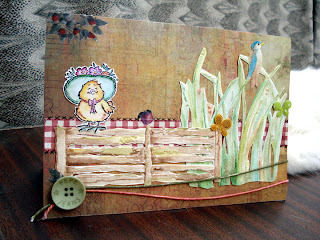 I am proud of the fence and the grass! It is the first time I have made them. I know that the fence is quite irregular, but then I have drawn it myself on a simple printer paper and pasted it on a card stock to make it a little stiff. The one at the top left, behind purple and green is way to oval! The drawing was totally rough, I didn't do it neatly. My bad. Today's card is nothing more than doodling on black card stock with my permenant white marker. I could not find the thinner white marker, out of stock they said. That would have helped so much. 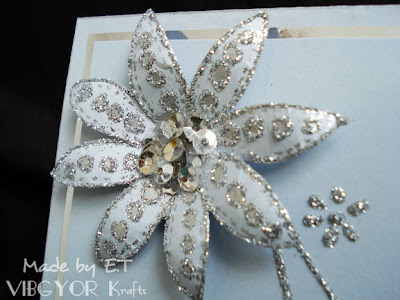 Anyway, I doodled some flowers and tiny swirls and applied white glitter only on the flowers and then placed an offwhite sequin flower in the middle. 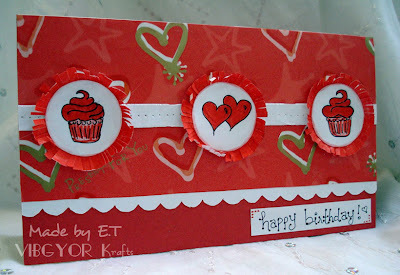 Oh yeah one more thing, this card is also going to the same friend of mine! I hope she likes all of em! 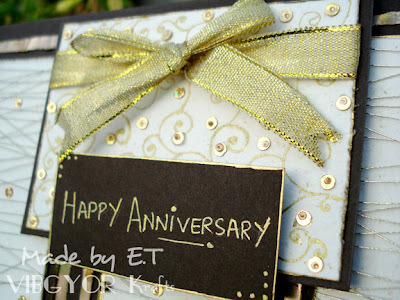 I used how many..1,2,3...7 ribbons! 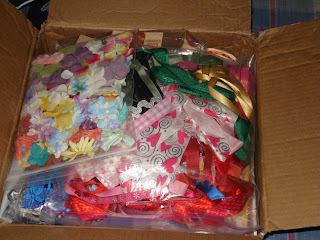 A lotta ribbons huh?! Oh well I had no ideas and I really wanted bright colours on plain white card stock. I came up with this... Its not that bad c'mon! The image is hand drawn as usual. I have drawn something like this earlier as well. I don't know why but I like free flowing blooms and swirls. BIG BOX of goodies. When I say BIG it is BIIIGG! 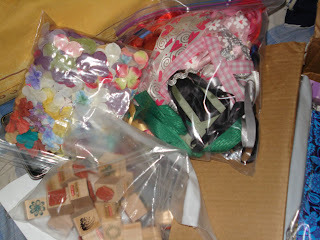 Steph aka SmilynStef from Ingenious Inkling send me a box of goodies, sorry...a BIG box of goodies! I was on my bed resting when it arrived. I was unwell, but when my dad told me that the package was for me I jumped out of my bed! Seriously! The package was huge! Who wouldn't jump with joy! This is how generous she is! I was amazed! WOW! SERIOUSLY! This is a very simple card. 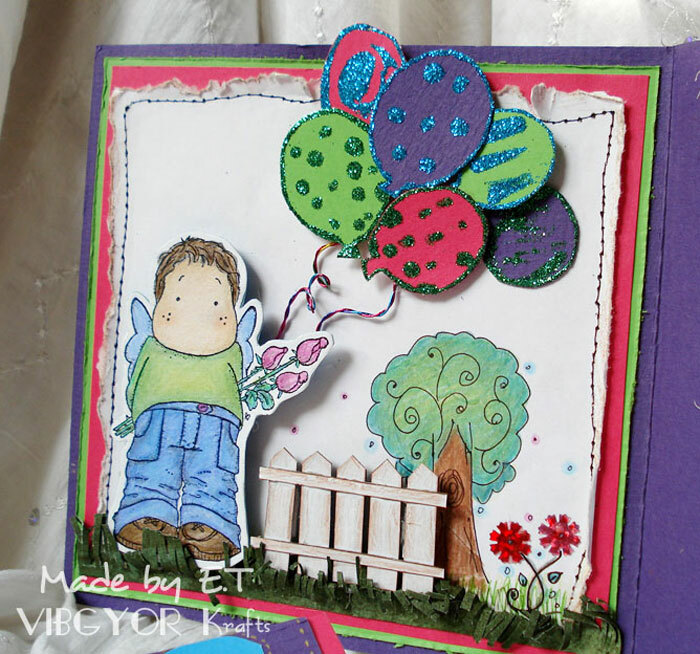 I just had to make one quick card, which turned out to be not so quick (I completed it in three sittings I think). 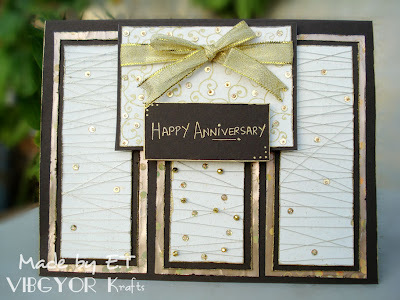 The card was sliding towards very simple so I decided to add a pierced white strip and make fringes around the images. The fringes part went wrong too. I planned on adding a red layer and then adding white fringes in order to reduce red a bit. But I forgot. 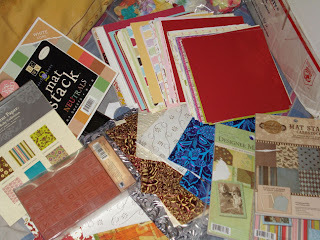 Obviously, when I will work in three sittings I wouldn't even remember what I planned to make! At least I was able to finish this card! She DID! 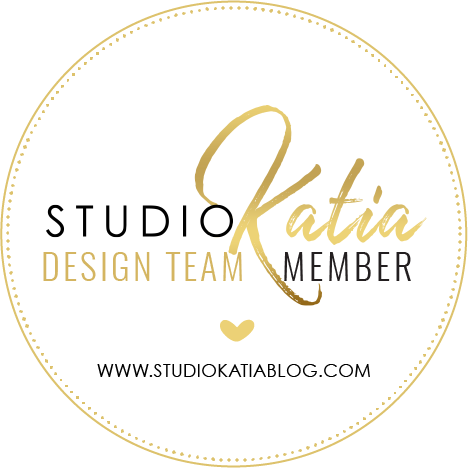 I was mean and bad that I did not put it up earlier here! But better late than never. 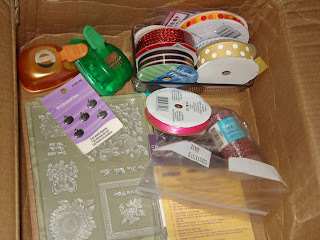 I got papers, cuttlebug embossed pieces and embellishments, brads and what not! I even got a beautiful card from her! 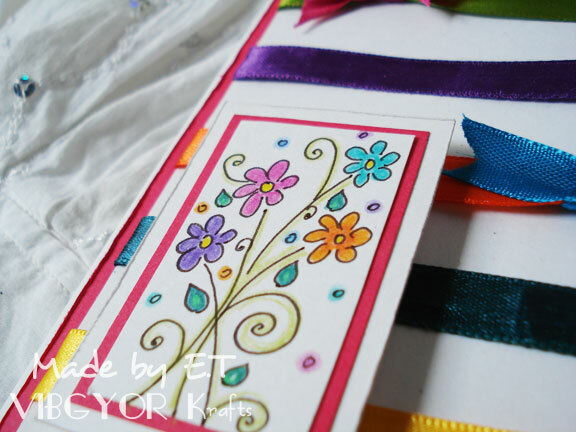 Now that the Islamic month of Ramzan is over and Eid is done with, I got time to make some cards. 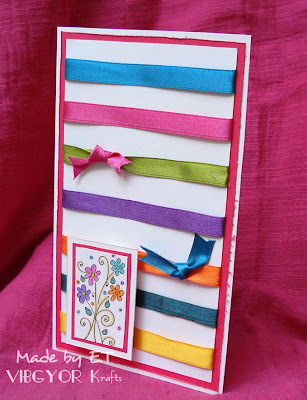 Today I am showing you a card which is (almost) like the one I have made earlier, but this time the colours are different. The picture is not doing justice to this card. Seriously, it looks amazing IRL. Everyone loved it! The colours looked just WOW. 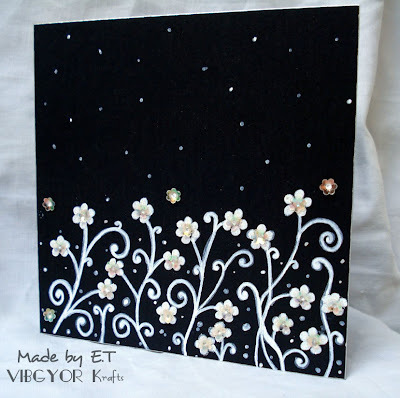 The flowers just looked awesome on black card stock. I have not included any closeups because the flowers are same. The only difference is the middle part of the flower. 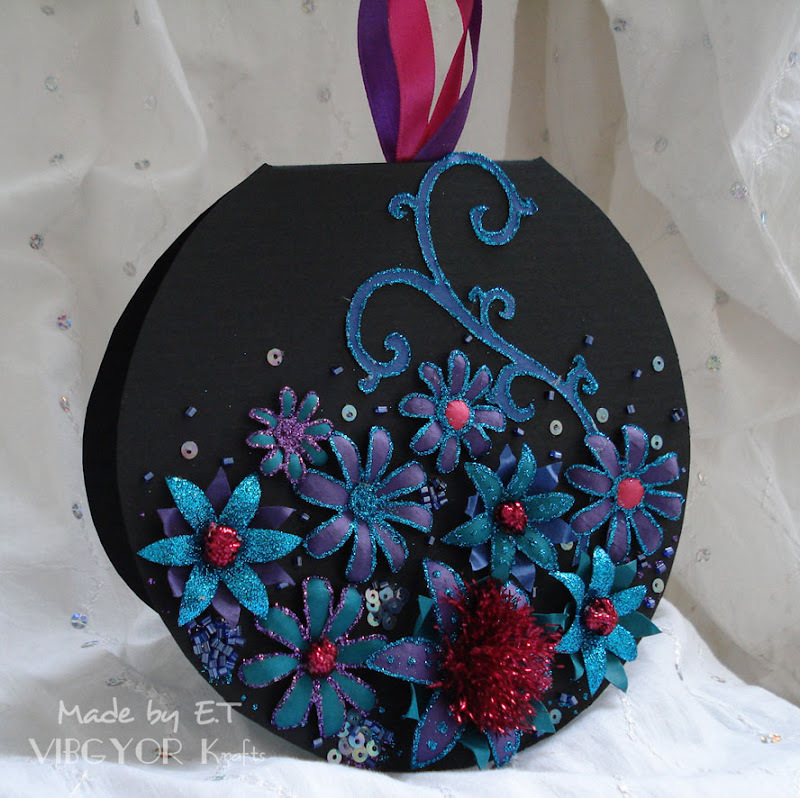 I added some cylindrical glass beads, sequences and a few glitter dots to fill in the spaces.